Now that Apple (AAPL) is out with the new iPhone 4S and Google (GOOG) and Samsung are preparing to launch the new Galaxy Nexus smartphone, customers are weighing their carrier options. Most moved to Verizon (VZ) last quarter. The Big Red carrier added 882,000 post-paid (i.e., retail) subscribers last quarter, more than double the 319,000 AT&T (T) added over the same period. Sprint Nextel (S) lost 44,000 post-paid subscribers the third quarter. Yet just because Verizon is winning the war now doesn't mean it will keep winning. What suits one user won't necessarily be right for another. Even though they've all ratcheted up speeds, there are material differences between networks. Here are tips on picking the right one for your habits. There are various technologies for transmitting data wirelessly. Let's get geeky for a second and compare. Super-fast wireless network services such as HSPA, WiMAX, and LTE mean most users who adopt a smartphone are likely to get fast data downloads and decent voice reception. I say "likely" because many people have been plagued by dropped iPhone calls. Of the three, HSPA is slowest. That's not necessarily bad. 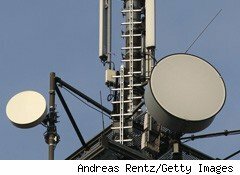 By using multiple antennas, an HSPA network can deliver data at 22 megabits per second to a mobile device -- on par with most networked home computers. AT&T has used HSPA to deliver high speed 3G while building out a faster network. Verizon at one time used an even slower standard called EV-DO as it rolled out its own LTE implementation. WiMAX has been around longer than HSPA and is a lot like Wi-Fi. The difference? Whereas Wi-Fi signals tend to travel 100 feet, WiMAX is designed to deliver data over miles. Sprint Nextel was an early backer of WiMAX and still has a partnership with Clearwire (CLWR) for delivering data this way. Finally, there's LTE, which stands for Long-Term Evolution and is the latest flavor du jour for all three carriers. LTE is purported to not only be simpler and cheaper for carriers to deploy, but is also capable of delivering data wirelessly at 100 megabits per second -- five times faster than HSPA and three times faster than the hardwired Comcast connection at my home office. LTE is the technology that promises you it's OK to stream movies to your phone. Verizon was first to deploy LTE here in the United States and is on track to have service in 178 domestic markets by the end of November, which may explain why it added more subscribers in Q3. AT&T is in the process of rolling out new cities now. Those in Chicago, Dallas, Houston, San Antonio, and Atlanta either already are or soon will be eligible for LTE service. Sprint still has WiMAX and is in the very early stages of deploying LTE through Clearwire and a start-up called LightSquared. The process could take a while, however. Federal Communications Commission research suggests that LightSquared's LTE technology may interfere with GPS signals. Which carrier is for you? Interestingly, chasing LTE may not be your best bet when it comes to choosing a carrier. Each one is going to carry great handsets with unique advantages. So start with what matters most to you -- speed, coverage, or a killer data plan. 1. Speed = AT&T. Old Ma Bell isn't so stodgy when it comes to giving users fast access to videos, apps, games, and the like. Yes, Verizon's 4G is still going to be faster, but if you follow that most users are either looking at or have iPhones -- and the iPhone doesn't yet support LTE -- then AT&T's network is about as fast as you'll get. 2. Coverage = Verizon. On the other hand, if you're willing to opt for an LTE-ready Android handset such as HTC's popular Thunderbolt, Verizon's national coverage beats anything offered by AT&T or Sprint. Some estimates put Verizon's national 4G LTE coverage at 186 million people. Wowsa. 3. Data = Sprint. Neither AT&T nor Verizon is willing to offer an unlimited data plan for fear that a handful of heavy users will slow the overall network to a crawl. Sprint isn't as concerned and is pricing plans that include unlimited data for as little as $69 per month. If you're going to be checking email, YouTube, Facebook and more while on the go, an unlimited data plan might suit you best. Just be warned that, for iPhone 4S owners, Sprint's network is delivering slower than the U.S. Postal Service. Motley Fool contributor Tim Beyers owned shares of Apple and Google at the time of publication. The Motley Fool owns shares of Apple and Google. Motley Fool newsletter services have recommended buying shares of Google, Apple, and AT&T and creating a bull call spread position in Apple.